There have been a lot of reports of girls from other countries marrying Pakistani boys. And well there has been a new addition to the family of international bhabhis in Pakistan as this girl named Sonia, converted to Islam and married a Pakistani man. Well, it is pretty interesting how this trend has become so common, matlab kya jadu kar rahay hain humaray Pakisani larkay? Sonia converted to Islam after studying all the religions. 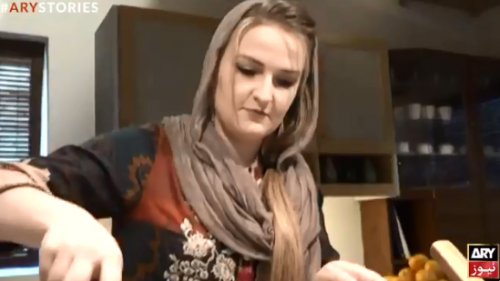 27-year-old Sonia from Germany accepted Islam after studying every religion 5 years ago. And this is really amazing as she chose what is right for her after experiencing everything. Then she chose to marry Imran from Pakistan, to which she says was a logical decision. German bhabhi says that she wants to spend the rest of her life in Pakistan. She also has opted the desi way of living. 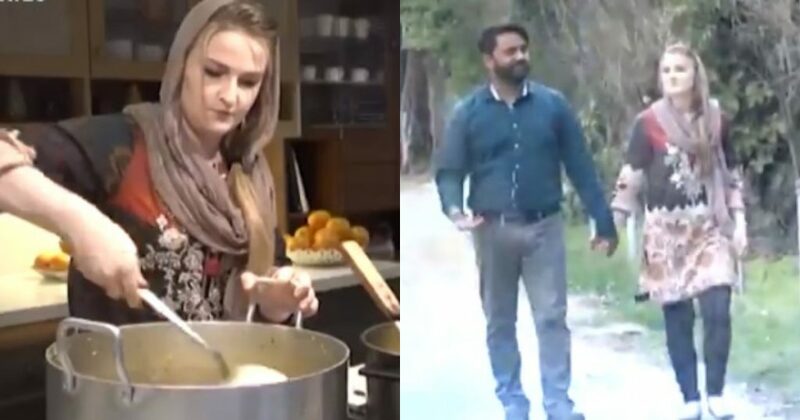 German woman accepts Islam, marries Muslim boy in Pakistan. Bhabhi loves biryani and karahi too. Sonia bhabhi is so influenced by Pakistani culture that she claims to love biryani and karahi and qourma. 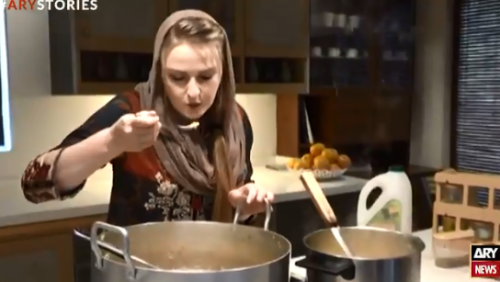 In this video, you can also see her cooking Pakistani food. But the question still remains, does bhabhi like biryani with aaloo or without aaloo? It is good to see that she is here in Pakistan on her own will and is adjusting so well. Sonia says that she feels very safe in Pakistan and loves being here. It is wonderful to see how she has learned how to cook Pakistani cuisine and even the Urdu language. She is now Sonia Jannat. The groom’s mother gave Sonia, her german bahu, a desi name which was Jannat. Jannat means heaven in Urdu and she really must have made their lives heaven by being in it. The couple and the family looks really happy together. Sonia also helps her husband in business. By profession Sonia is a nutritionist. Sonia says that she feels safe in Pakistan. Sonia says that Pakistan is safe and she feels really comfortable here. She said that it is an amazing experience living here and not for a second she has felt afraid of being in Pakistan. She further said that she is looking forward to spending the rest of her life in Pakistan. We really hope that this couple stays happy and together for the rest of their lives. Such marriages should be encouraged even if it is a Pakistani girl marrying a German man. Pak-German dosti zindabad.